3. All non-SMSF superannuation contributions require a Unique Superannuation Identifier (USI). In some cases this is the SPIN code but in many cases it is not. Depending on the size of your company and/or the number of super funds you pay, achieving SuperStream compliance may take a few pay cycles. 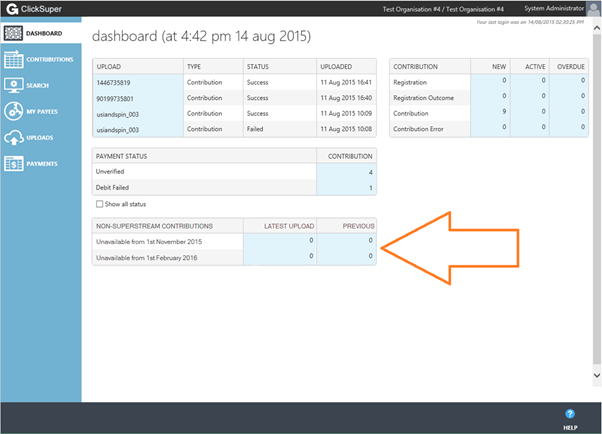 How do I achieve SuperStream compliance? Check with your payroll software/service provider that the version you are using is SuperStream compliant and/or they have migrated to the ClickSuper SuperStream version. 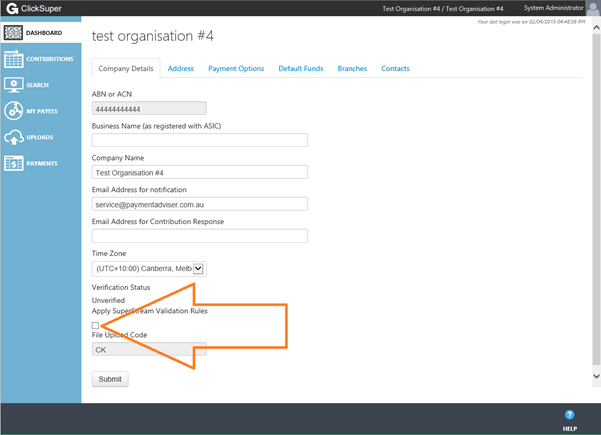 Tick/Check the ClickSuper ‘Apply SuperStream Validation Rules’ check box. This will request you to nominate your default fund(s) and validate your next upload to ensure all the mandatory SuperStream fields are present. If your data is rejected you can un-tick/un-check the box to ensure your contributions are processed. When you upload your superannuation contributions ClickSuper will notify you by email if you are contributing to funds/product codes that are not fully SuperStream compliant. ClickSuper will display on the dashboard the number of non-compliant funds/product codes used in the most recent two uploads. 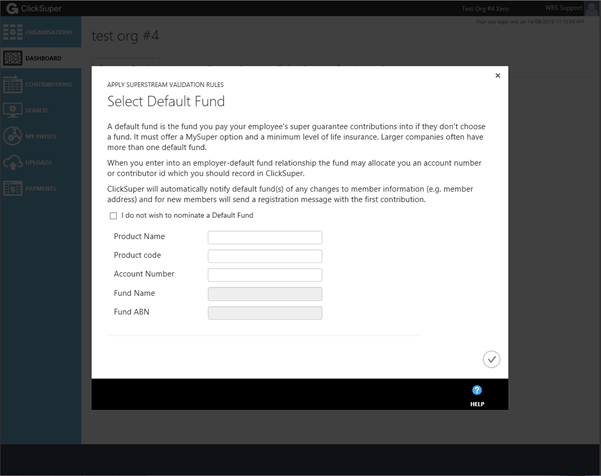 You can click on the numbers to display the list of funds and the employees contributing to them. If you are contributing to a non-SuperStream product or the SuperStream mandatory data is not present ClickSuper will (until 1stFebruary 2016) use the non-SuperStream compliant contribution process. From 1st November 2015 ClickSuper will cease contributions to non-SuperStream products that require payment by cheque. From 1st February 2016 ClickSuper will cease contributions to non-SuperStream products.